As industrial applications have evolved and grown more complex, the piping products and systems that serve them have had to keep pace. While many pipe manufacturing methods exist, the most prominent discussion in the industry compares electric resistance welded (ERW) vs. seamless (SMLS) steel pipe. Both ERW and seamless steel pipe manufacturing methods have been in use for decades; over time, the methods used to produce each have advanced. So which is better? The rectangular sheets are fed through a rolling machine that curls the longer sides up toward one another, forming a cylinder. In the ERW process, high-frequency electrical current is passed between the edges, causing them to melt and fuse together. An advantage of ERW pipe is that no fusion metals are used and the weld seam cannot be seen or felt. That’s opposed to double submerged arc welding (DSAW), which leaves behind an obvious weld bead that must then be eliminated depending on the application. Welded pipe manufacturing techniques have improved over the years. Perhaps the most important advancement has been the switch to high-frequency electric currents for welding. Prior to the 1970s, low-frequency current was used. Weld seams produced from low-frequency ERW were more prone to corrosion and seam failure. Most welded pipe types require heat treatment after manufacture. Some seamless pipe types harden as they’re manufactured, so heat treatment after manufacturing is not required. Others do require heat treatment. Consult the specification of the seamless pipe type you’re considering to learn whether it will require heat treatment. ERW and seamless steel piping exist as alternatives today largely due to historical perceptions. Generally, welded pipe was considered inherently weaker because it included a weld seam. Seamless pipe lacked this perceived structural flaw and was considered safer. While it’s true that welded pipe does include a seam that makes it theoretically weaker, manufacturing techniques and quality assurance regimens each have improved to the extent that welded pipe will perform as desired when its tolerances aren’t exceeded. While the apparent advantage is clear, a critique of seamless piping is that the rolling and stretching process produces an inconsistent wall thickness compared to the more precise thickness of steel sheets destined for welding. The industry standards that govern the manufacture and specification of ERW and seamless steel pipe still reflect those perceptions. For example, seamless piping is required for many high-pressure, high-temperature applications in the oil & gas, power generation and pharmaceutical industries. Welded piping (which is generally cheaper to produce and is more widely available) is specified across all industries as long as the temperature, pressure and other service variables do not exceed parameters noted in the applicable standard. In structural applications, there’s no difference in performance between ERW and seamless steel pipe. While the two can be specified interchangeably, it wouldn’t make sense to specify for seamless when cheaper welded pipe works equally well. An important note to make as piping products are specified for a project is that the specification books (such as those provided by ASTM, ASME, ANSI and API, among others) that engineers use to guide the specs they write only list pipe grades without referencing whether they’re produced via ERW or seamless pipe manufacturing. Not all grades can be produced by both means. For example, a potential mix-up can occur if an engineer specifies welded pipe with a large outside diameter and wall thickness without knowing it would be impossible to manufacture it. This error would likely go unnoticed until a purchase order is placed, at which time a pipe supplier would notify the customer that the order couldn’t be fulfilled as written. Also, a good grasp of industry standards could lead to cost savings. The A106 and A53 carbon steel pipe standards are a good example. In this article, we discuss how pipe complying with the former must be seamless while pipe complying with the latter can either be seamless or welded. For example, if an engineer must follow the A53 standard on a given project, he or she may still have the flexibility to choose which type to specify based on the specifics of the application. American Piping Products stays fully-stocked with the best inventory of welded and seamless steel piping products in the industry. We source our stock from mills around the world, ensuring buyers get the pipe the need faster regardless of any applicable statutory restrictions. 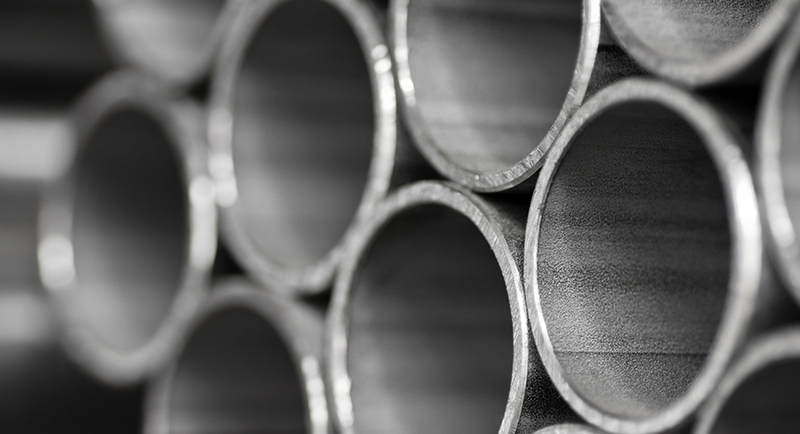 In our steel pipe buyer’s guide, we’ll help you navigate the piping procurement process from start to finish to ensure you get what you need as quickly as possible when it’s time to buy. If a piping purchase is in your near future, request a quote. We’ll provide one that gets you exactly the products you need—fast.